Jazz up those boring Ikea boxes and turn any room into a superhero haven. Download superhero templates from google search and cut out. Place on felt and cut. What a great idea. Looks fantastic. My bub will love this idea. You could do just about anything, dinosaurs, princesses etc. A wonderful idea for the boys in the family,thanks. Great to have ideas for boys. Thanks for sharing. Wonderful idea. 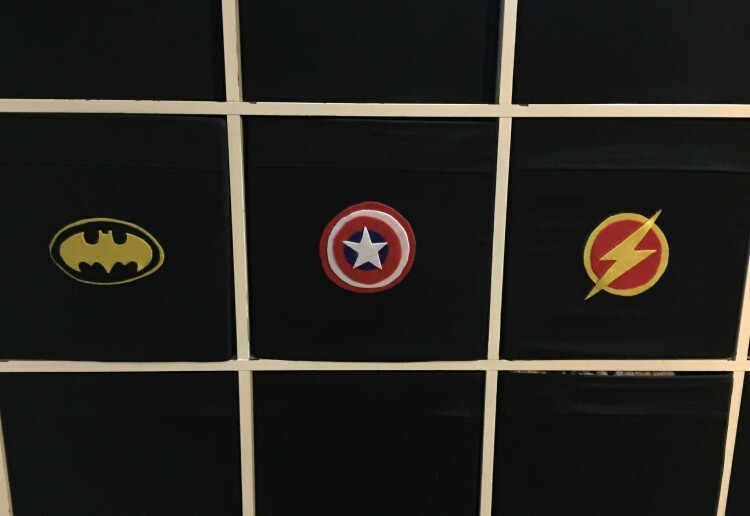 Little superheroes will love their rooms decorated like this. Nice and simple, but looks good. A nice and simple idea for children’s rooms.